If you are searching an ac repair service you arrived to the right place, we are based in Los Alcazares Murcia. We maintain your hvac system or install and provide you with a new air conditioner if needed. If you are looking for a new air conditioning unit in Polaris La Torre or an air conditioner in Polaris La Torre contact with us and we will give you a free estimate. Polaris can be found near Roldan, other ways of Entry are from Torre Pacheco, Los Alcazares, San Javier. Cross the main entrance. Enter the closed perimeter of the resort. And to be inside a huge garden. In these complexes the space and the amplitude combine perfectly with an incomparable vegetal wealth. 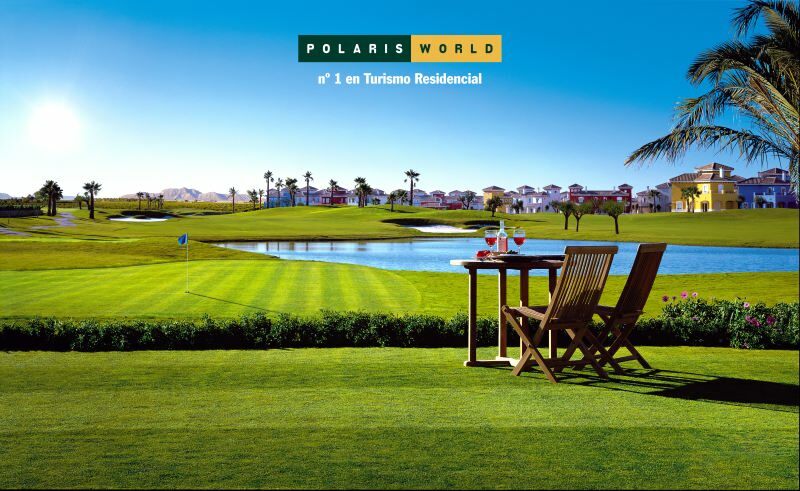 Each resort has a golf course that, apart from being a model installation for fans of this sport, is an immense garden for the rest of the residents, as it is integrated with the houses. In addition, from a meticulous landscape study, a low building density has been achieved, and a placid and pleasant environment has been designed that takes care of the views from any point of the complex. In these resorts you will not find two equal places, nor two equal streets. Simply because it changes to the type of vegetation to create corners with their own personality that enrich the general environment. Likewise, the types of houses vary, both in their design and in their chromatic variety, although within the same architectural style. In addition, to get a sense of greater spaciousness has increased the distance between the different villas, and eliminated any type of architectural barrier, such as fences in gardens or similar. All this has been projected by the best specialists in the world: the North American landscaping and planning company EDSA (www.edsaplan.com), the golf course designers Nicklaus Design and Dave Thomas, and F & M Arquitectos Asociados and Arcadia Design Arquitectos, responsible from the Town Center, soul of the resort, where the five-star hotel is located, the shopping centers, the spa (thermal treatment center), the restaurants, the clubhouse, etc., all following the parameters that mark the whole resort and with the highest quality standards.